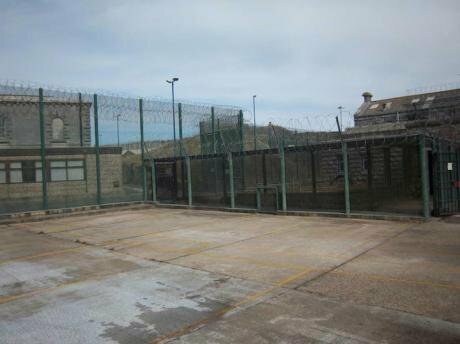 Jury hears of ‘chaotic’ and ‘stressful time’ at the Verne immigration removal centre. Day One of the inquest into the death of Bruno Dos Santos. Staff at the Verne Immigration Removal Centre in Dorset told an inquest jury yesterday that medicine monitoring practice could have been better back in 2014, when a young man died in their care. A nurse told the jury at Dorchester Coroner’s Court that there were “better systems in place now” and that things had changed after “what happened to Bruno”. Dos Santos moved to the UK from Angola at the age of six. When he was 10 in 1998 he was knocked down by a car and suffered serious head injuries. He recovered but later developed epilepsy. Sometimes his fits were so bad that he would convulse and dislocate his shoulder, which had to be put back into place. However, the court heard that Dos Santos was a “generally fit young man” in the months leading up to his death, though he had a reported having a seizure just two days before being transferred to the Verne early in May 2014. Prior to his detention at the Verne Dos Santo served a prison sentence at HMP Thameside. His foreign nationality meant that once his sentence was up, deportation proceedings automatically kicked in. Dos Santos had been prescribed carbamazepine, an anti-epileptic drug designed to prevent seizures, which he was supposed to take twice a day. But during the few weeks he was detained at the Verne, Dos Santos would frequently miss appointments with healthcare staff to collect his medication. On his death a stack of unused medication was found in his room. Brown asked again about the systems in place at the time of Dos Santos’s death, “Was there any system in place for anybody to go back and check?” he said. Leighton said: “The onus is on themselves. Like the onus is on me if my own doctor prescribes me something.” She later told the court that she had 300 people to keep track of and was unable to remember every single one. Though there were several messages about Dos Santos on the nurses’ ‘task’ system (the programme used to manage workload at the time) no one person was allocated responsibility for following up on concerns raised about Dos Santos frequently missing appointments. The court heard that Dos Santos had several serious fits witnessed by prison staff as well as the one he reported two days before arriving at the Verne. He was also waiting for an appointment to have his shoulder operated on at the time of his death. Dr Jane Fowler, a GP working at the Verne, assessed Dos Santos when he first arrived. “I don’t recall any specific concerns. I was not concerned about his mental state. I didn’t need an interpreter,” she said. Dos Santos told her about his shoulder, the fit, and that he was waiting an MRI and EEG appointment. A neurologist had made the referral the previous February. He was taking anti-depressants. A letter written in 2013, the year before, by the neurologist had also expressed concern that his carbamazepine prescription was low and should be increased slowly and checked again in 14 days. Dr Fowler noticed that this hadn’t been actioned; Dos Santos was still on a low dose and so she prescribed an increase. After that she had no further dealings with him.